Few grammatical blunders are as irritating as the run-on sentence. In fact, they can be downright hazardous to your health if you’re reading aloud. Unless you practice deep breathing techniques, you may very well run out of air before getting to the period. But what is a run-on sentence, exactly? I don’t like coffee tables. In order for a sentence to be considered a run-on, it must contain at least two of these independent clauses. The presence of two or more independent clauses is only half of the equation, however. The other half is punctuation. A true run-on sentence not only contains more than one independent clause but also lacks proper punctuation. Thus, a run-on sentence is really multiple sentences jammed together without any guiding principle. Take deep breaths before attempting the following examples. I thought the movie was good however they thought it was trash. The ice cream melted all over my lap it didn’t come with a napkin. Why would I go to that party, it doesn’t have rhubarb pie? The marmalade was thick he couldn’t spread it on the bread. I thought the movie was good; however, they thought it was trash. The ice cream melted all over my lap. It didn’t come with a napkin. Why would I go to that party? It doesn’t have rhubarb pie. The marmalade was thick, and he couldn’t spread it on the bread. 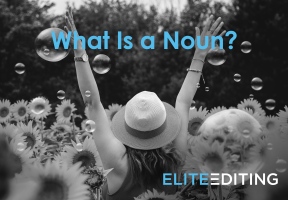 In order to avoid writing run-on sentences, check your work to make sure multiple independent clauses are properly connected—or, if necessary, separated. 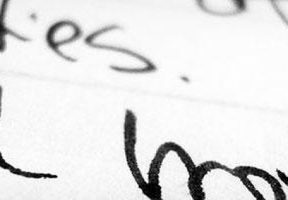 Also, try reading your work aloud and noting whether you start losing your breath. If you do, chances are, you’ve got yourself a run-on. 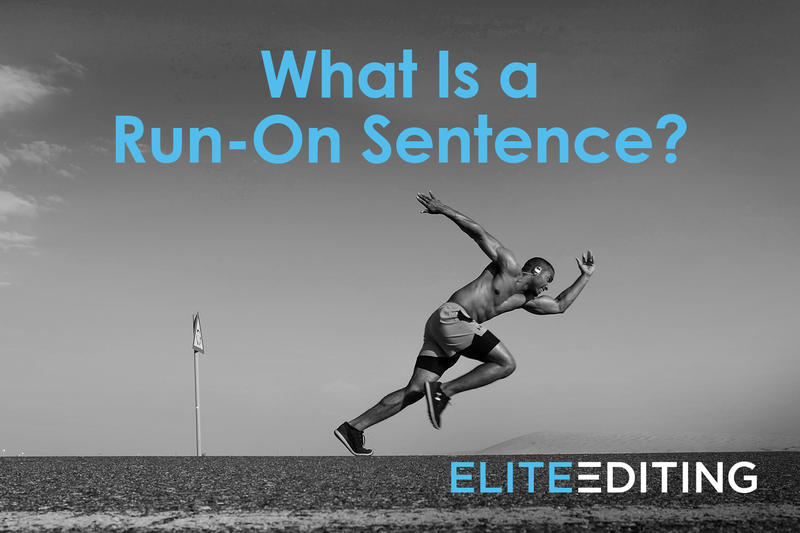 Now if someone asks you, “What is a run-on sentence?,” you’ll be ready with an answer. Now, run on over to your typewriter, and bang out some grammatically correct, lung-friendly prose. 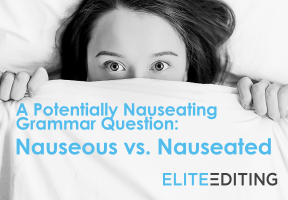 And don’t forget to check out some of Elite’s other blogs on common grammatical conundrums, such as biennial vs. biannual, affect vs. effect, and caramel vs. Carmel.